The Low Poly Rock Pack (no.1) is a free asset pack containing 27 rock shapes with a low poly stylization. These shapes can be used in any way you like. That is 27 assets in one package! They each come in a .blend file, .fbx file and a .obj file. How do I use these assets? The simple answer is that you use them like any other asset. Since rocks are usually static they do not need to move. For most engines it is a case of drag-and-drop! The meshes have no textures so you can change the material colours to change their overall colours. Load the .fbx file into the engine of choice (or one that supports it), then select the desired meshes. 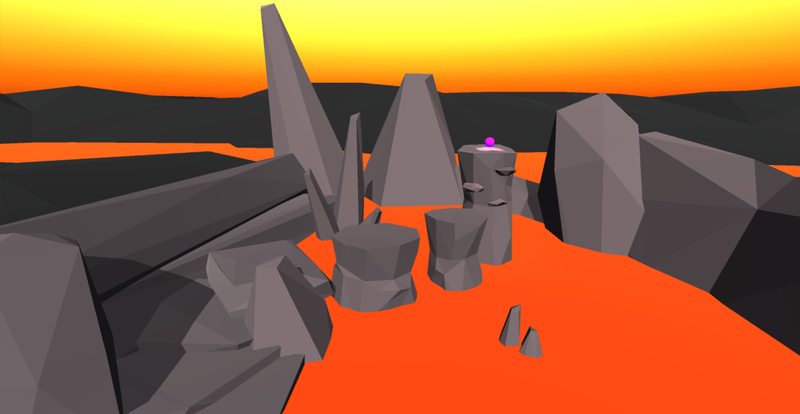 You can also drag the entire selection of meshes out and duplicate a rock each time you use it. If you own Blender you can load the .blend file and select/manipulate each mesh and export them individually as preferred file types. What permissions do I have? Since it is free you do not need to pay a single penny. All I expect you to do is to use this asset pack the way you want to. Use it for any project, any game, any picture, movie, etc. If you wish to pay for the asset then that is totally fine, but do not spend anything if you do not want to! All I expect is a mention of myself and a link to this very page. I would be grateful if you also added a link to the project you used the assets for in the comments. You can modify content in the asset pack however you want. Alter the mesh, create textures for them; if it is transformative or even if it is left untouched that is a big OKAY with me! What you cannot do with this asset pack is rebrand it as your own original content or sell it under a different name, even if you give it away for free. I would much rather have people come here to download the assets. PLEASE READ: I received feedback that there are only .blend files in the zip file download. I apologize for the inconvenience! Make sure that the .blend folders are unhidden. You will need to load up each file into Blender 3D and export each to the desired file format (or load them into engines such as Unity 3D without having to convert it). Again I apologize greatly for the problems! Just a quick update for all of you here: I will be updating the file format at some point in time to make using these objects much easier.